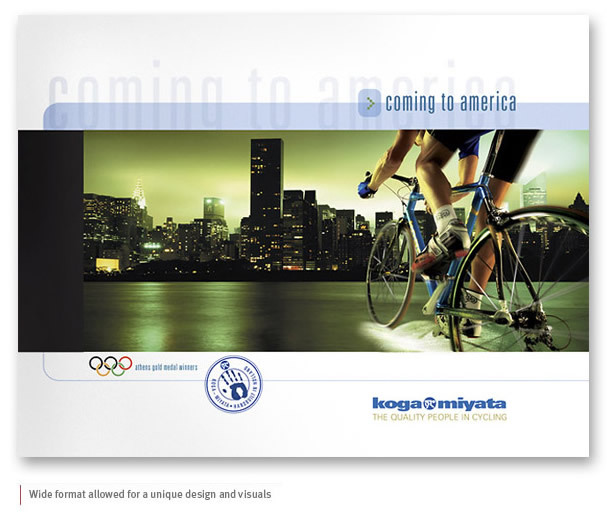 Koga-Miyata is a high quality bicycle manufacturer based in the Netherlands. This goal of this catalog was to introduce the brand to America. We told their story with accounts from their world class riders and world touring adventurers.